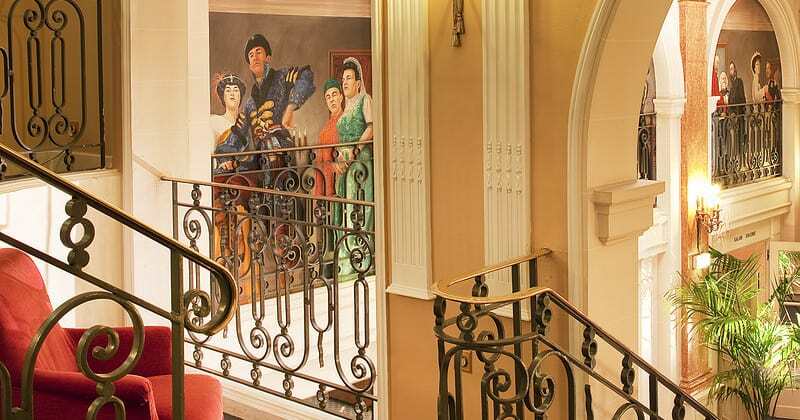 Oceania l’Univers is a five-floor historic hotel dating from 1846 perfectly combining tradition, design and modernity. Recently renovated, it offers a good range of high quality facilities as well as contemporary and comfortable well-equipped rooms. 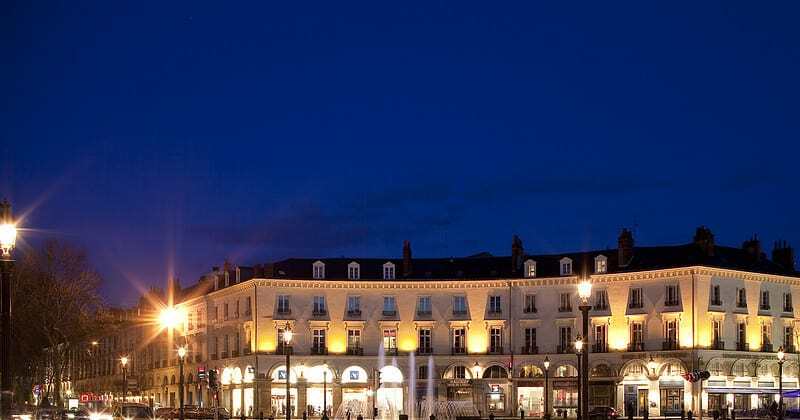 The hotel is set in a fashionable shopping area between the station and the historic centre of Tours, and the cities’ main sites including the cathedral, basilica and the Place Plumereau are all within a few minutes’ walk. Saumur can be reached by car in fifteen minutes. 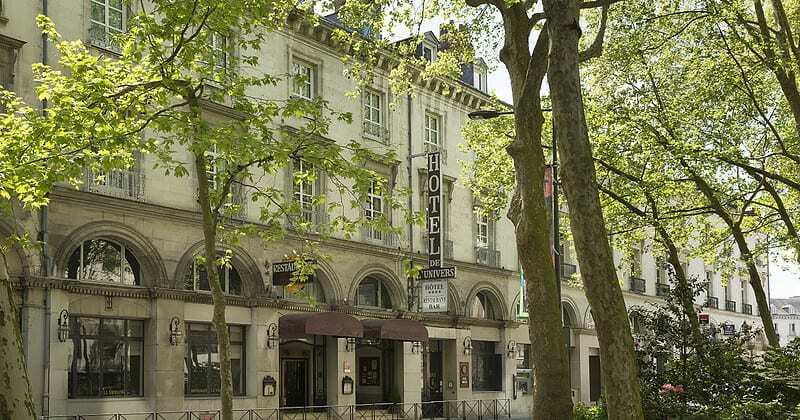 Tours is just two hours and fifteen minutes away from the iconic city of Paris. 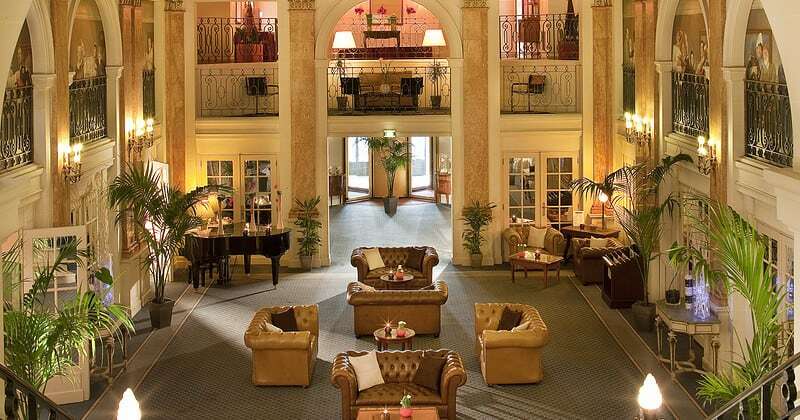 Guests can relax on leather sofas in the atrium-style lounge area, and browse through the portraits of the hotel’s famous visitors. 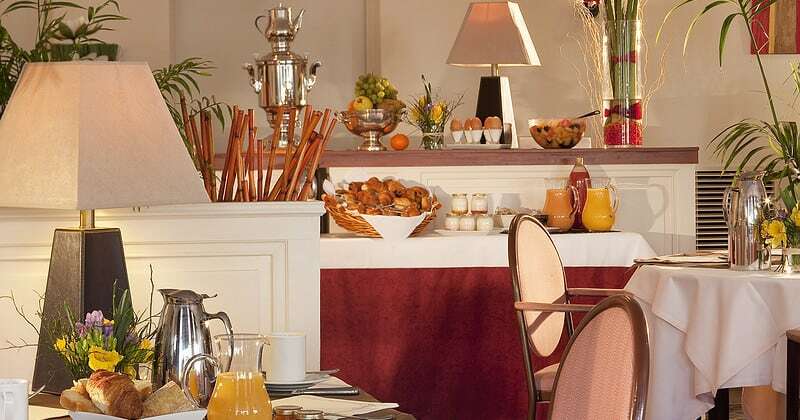 French gourmet food is served in the restaurant and the lounge bar serves Champagne and a selection of malt whiskies and cocktails. Guests can visit the onsite gift shop and hair salon, and multilingual staff at the 24-hour front desk can provide room service, safety deposit boxes and a laundry / dry cleaning service. Wireless Internet access is available in public areas. Motorists can park securely in the hotel garage. 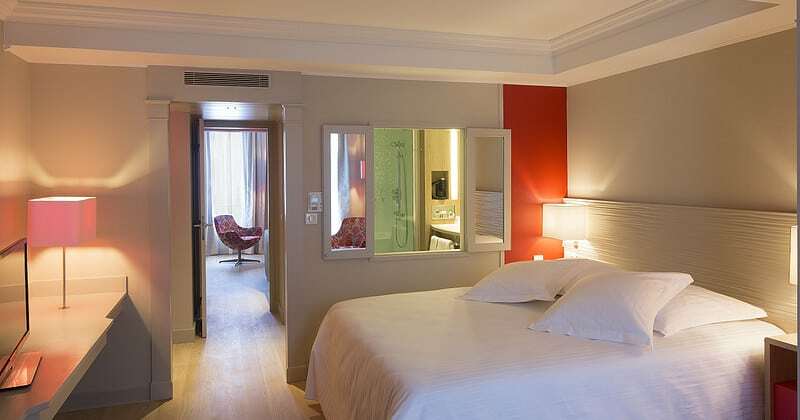 The 91 guestrooms are decorated in bright modern colours while keeping the authentic look of the place with its high ceiling and ancient mouldings. They all include satellite television, direct-dial telephones, minibars and wireless Internet connections. Bathrooms are equipped with shower/bath combinations, telephones, hairdryers and designer toiletries.